Welcome back to Medieval Monday! I’m thrilled to have the talented Barbara Bettis here today. 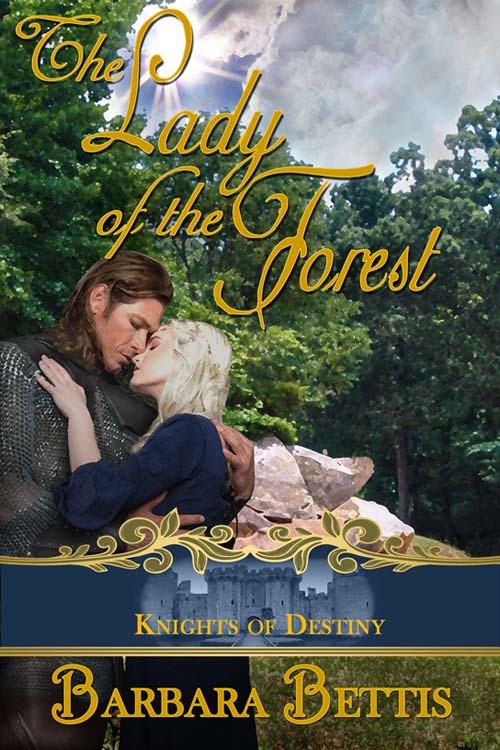 We’re featuring The Lady of the Forest, a Knights of Destiny romance. Her heart thudded and her breath hitched. That strong blade of a nose, the firm jaw with its little scar—so familiar, even covered in grime. From childhood, an image flickered. A gangly, laughing squire who teased his sister’s friend. Henry of Chauvere. Impossible! Stonehill sat leagues from his home. But if it were Henry, he’d grown into an imposing knight. Sam’l and Oscar finally got his arms freed from the cumbersome mail and were poised to drag it over his when he groaned. Right here is good, Melissa. Or comment on my blog for Judith’s book. Oh be still my heart. I loved this excerpt!